At Christmas, most towns in northern Brazil have a tradition of displaying a nativity scene, which they call a presepio after the Hebrew presepium. Presepium translates to “bed of straw,” referring to the manger in which the Christ child was laid. Brazil is a mainly Catholic country, and therefore most people attend midnight mass, called Missa do Galo (mass of the rooster) on Christmas Eve, which lasts until 1 a.m. Christmas day. Many Brazilian churches put on a Christmas play called “Los Pastores” (the shepherds), but the shepherds in the Brazilian version are women, and a gypsy tries to kidnap the newborn Jesus. Papai Noel (Father Christmas) brings gifts to children on Christmas Eve. He lives in Greenland, according to the tradition, and dresses in light silk garments due to the hot weather at Christmas time in Brazil. Christmas dinner consists of turkey, ham, rice, vegetables and fruit. In Argentina, located in the southern hemisphere, Christians decorate evergreen trees with cotton to simulate the snow of the northern hemisphere. Dinner is suckling pig or peacock, or ninos envuettas, a beef dish stuffed with mincemeat, onions, hard-boiled eggs and spices. Argentinians attend church services on Christmas day rather than Christmas Eve. According to Argentinian tradition, it is the three magi, traveling on horseback, who bring gifts to good children. On January 6, children leave their shoes under the Christmas tree or by their beds to be filled with goodies. Hay and water are left outdoors for the Magi’s horses to provide nourishment for their long ride to the Christ child in Bethlehem. Australia’s Christmas celebrations are heavily influenced by their British roots. Christmas dinner generally consists of ham or turkey and flaming plum pudding for dessert. Since Australia is in the southern hemisphere, Christmas takes place in the summer, so Christmas dinner is often celebrated outdoors or even picnic-style. After dinner, Australians will often play cricket. The most famous Australian Christmas tradition is called Carols by Candlelight. This tradition began in Melbourne on Christmas Eve in 1937 and has taken place annually since in the days leading up to Christmas Eve in cities and towns around the nation. In Sydney, tens of thousands of people gather for the event. The final song for the night is called “Let There Be Peace on Earth (and Let it Begin With Me),” during which the singers hold their candles aloft. In Ghana, Christmas is celebrated by Christians and non-Christians alike throughout the country. The month of December finds many Ghanaians traveling to visit family. On Christmas Eve, churches tell the bible story or the birth of Jesus in each ethnic language represented. Ghanaians attend church on Christmas day as well, but on that day, Father Christmas pays a visit to each church. Father Christmas was introduced by the British when they colonized Ghana. He gives out special treats to young people, such as imported chocolate, cookies and crackers. 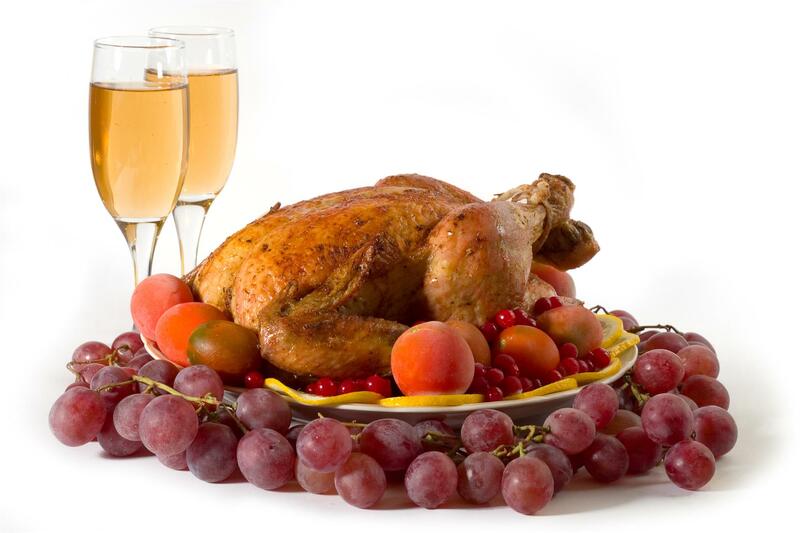 Christmas dinner is usually goat or chicken stew with rice, mangoes, cashewfruit, pawpaw and oranges. Instead of evergreen trees, Ghanaians decorate mango, guava or cashew trees, normally in the center courtyard of the home. The Russian Orthodox Church celebrates Christmas starting in November with a 40-day Lent during which people fast from all animal products except seafood. The Orthodox Church celebrates Christmas according to the old Julian calendar, which makes Christmas fall on January 7. Christmas Eve services in Bethlehem, Israel, traditionally begin at Shepherds’ Field, and then move on to the Church of the Nativity. It was built by Emperor Justinian in the sixth century over the ruins of an older church built by the Emperor Constantine. That church replaced a temple to the Greek god Adonis, which had been built over a series of caves that were considered to be the location of Christ's birth. A 14-pointed silver star marks the location of the original manger, donated by the Turkish Sultan after a previous star had disappeared. Around the star, the Latin words Hic De Virgine Maria Jesus Christus Natus Est, proclaim "Here of the Virgin Mary, Jesus Christ was born." Only a few hundred people are invited each year to the Mass, but in nearby Manger Square, the service is broadcast on giant television screens for people who desire to be near the birthplace of their Lord.